Coca Cola is rolling out a new Christmas TV advert featuring Santa Claus through the years. 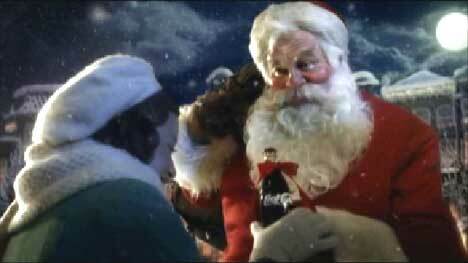 The 60 second TV ad begins on a wintry night with Santa Claus offering a bottle of coca cola to a young girl outside Sullivan & Sons, a corner store. As she looks through the shop window she sees Santa walking through the miniature city inside. The Coca Cola Greatest Gift campaign was developed at advertising agency Mother London by creative director Robert Saville, art director Cecila Dufils, copywriter Markus Bjurman and agency producer Richard Firminger. Filming was shot by members of the Looking Glass Films team responsible for the 2004 movie, Sky Captain and the World of Tomorrow: director Kerry Conran, producers June Guterman and Nina Huang, director of photography Eric Adkins and editor Erik Jessen. Post production was done at Framestore, New York, with CG supervisor Dave Hulin, Lead Flame Artist/Colourist Murray Butler and VFX producer Satoko Iinuma. The small village setting is based on Madurodam, a a minute replica of old Amsterdam, known as popular tourist attraction in the Netherlands. Framestore had the job of recreating the village in 3D in five different eras and lighting setups. 50 modeled buildings, 250 props, and nine vehicles were covered in CG snow, all created using Autodesk Maya. All the falling snow was also created in CG, together with the shot of the ice skating rink. 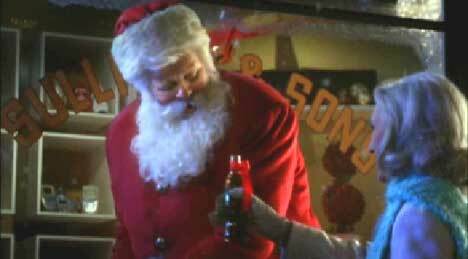 Santa Claus is played by Ken Howard, known for his role as Ken Reeves in the television series The White Shadow. To get Howard’s face to resemble the character in the old Haddon Sunblom Christmas paintings Framestore created a CG model using a complete scan of Ken’s head. Cheeks, nose, lips and eyes were then enhanced. Cathryn Sleight, marketing director for Coca Cola Great Britain, explains that the Coca Cola advertising signifies the beginning of Christmas for consumers. The ad was designed to to embody the optimistic giving spirit of Christmas. Artist Haddon Sundblom created the first Coca Cola Santa in 1931 for the winter advertising campaign. The Coca Cola images were so popular that any changes made to them would create endless streams of mail to Coca Cola headquarters. Once, Santa wasn’t wearing his wedding ring and people wrote to ask what happened to Mrs Claus. Looking at this TV advert it’s hard to tell if Santa’s wearing a wedding ring.